SolSep produces spiral wound elements but also other type of membrane modules that are stable in organic solvents. 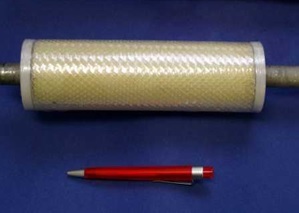 We have specialized on spiral wound elements for ultrafiltration and nanofiltration. These have been tested in solvents like methanol, ethanol, acetone, ethyl acetate, hexane, toluene and chloro benzene. Also other alcohols, ketones, esters may be used, as well as solvents like DMF, DMSO and THF. The spiral wounds elements in the table have sizes conform industrial standards. 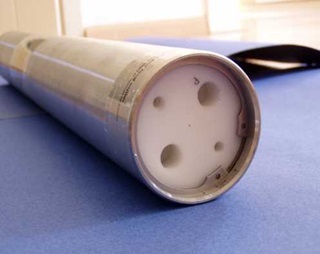 they will still fit into a regular pressure vessel. SolSep delivers 2.5 inch wide high quality pressure vessels (2.5" x 20" and 2.5" x 40") at reasonable costs. These are well-suited for small scale experiments and pilot plants. Other pressure vessels are of third parties. Contact us for more information.